I send my warmest greetings to the participants in the Newman Conference gathered in Milan. I am sure your time together has served to deepen the bonds of friendship amongst Newman scholars from different countries. I am equally sure that the high quality of the papers presented will have served to deepen your understanding of the legacy bequeathed to us by our great English Cardinal. My few words are not so much of a contribution to your Newman studies. Rather they seek to address the questions we are asked so often nowadays. Was Newman a Saint? What is the state of his Cause for Canonisation? In August 1887 Bishop Ullathorne of Birmingham made one of his last visits to the Oratory in Edgbaston in order to pay his respects to Cardinal Newman. 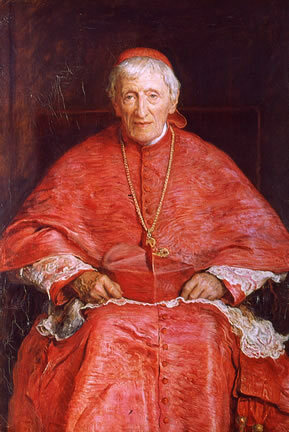 After he returned home, the Bishop wrote down his impressions of the visit; he ended by saying “There is a Saint in that man!” That perception of Ullathorne’s was echoed three years later after Cardinal Newman’s death. Obituaries from all over the world paid tribute to his holiness and looked forward to the day when the Catholic Church would surely canonise one of her greatest sons. One of the most interesting tributes, quoted to you already by Fr Dermot Fenlon of my community, referred to Newman’s death as being like the extinguishing of a “white star”; a star which had acted as a sure guide to so many for so long. In the years following Newman’s death more and more people around the world have come to see him as that guide in perplexed and troubling times. Popes have written of the significance of Newman’s life and teachings; educationalists have seen in his work in Oxford, Dublin and Birmingham something to inspire them today; theologians and philosophers have examined his writings and have found there that important “synthesis of faith and reason” which has helped them in their own researches into the treasury of our revealed religion. Most importantly, however, ordinary folk all over the world have been increasingly drawn to the sympathetic and compassionate priest and have come to see in John Henry Newman a powerful intercessor for them in their multifarious needs and problems. At the Oratory in Birmingham we receive very touching letters from people who have probably never read a theology book in their lives, but who know a saint when they see one! Cardinal Newman’s sanctity of life was beautifully portrayed for us by the late Fr Vincent Ferrer Blehl SJ, when, as the then Postulator of the Cause, he composed the Positio, the spiritual biography of Newman submitted to the Congregation for the Causes of Saints. There we find the evidence the Church looks for when she declares a candidate for canonisation to be “Venerable” – that the virtues of the Christian life have been lived out by that person to an heroic degree. The Church saw that this was true of Newman and declared him Venerable in 1991. That was the fruit of the long process of evaluating his life and writings which had begun in 1958 when the Cause was first opened. In order to verify the Church’s judgement on a person’s sanctity and to advance the candidate to the next stage – that of Beatification – a miracle of physical healing has to be attributed to the candidate’s intercession. As you all well know, this is the stage we are now at with Cardinal Newman’s Cause. A presumed miraculous cure has been submitted for examination and evaluation to the Congregation for the Causes of Saints in Rome, along with all the necessary supporting documentary evidence – principally medical papers and the testimonies of witnesses. One never knows how long this process of evaluating and deciding is going to take. In a world of Google searches and instant access to information, people somehow think even the Church’s work should be done as quickly. It is not like that. The “making of Saints”, to use a clumsy phrase, is an exact science and the work involved is painstaking. While it goes on we hope and we pray. We hope for a happy conclusion and for a Beatification which will bring joy to so many around the world. 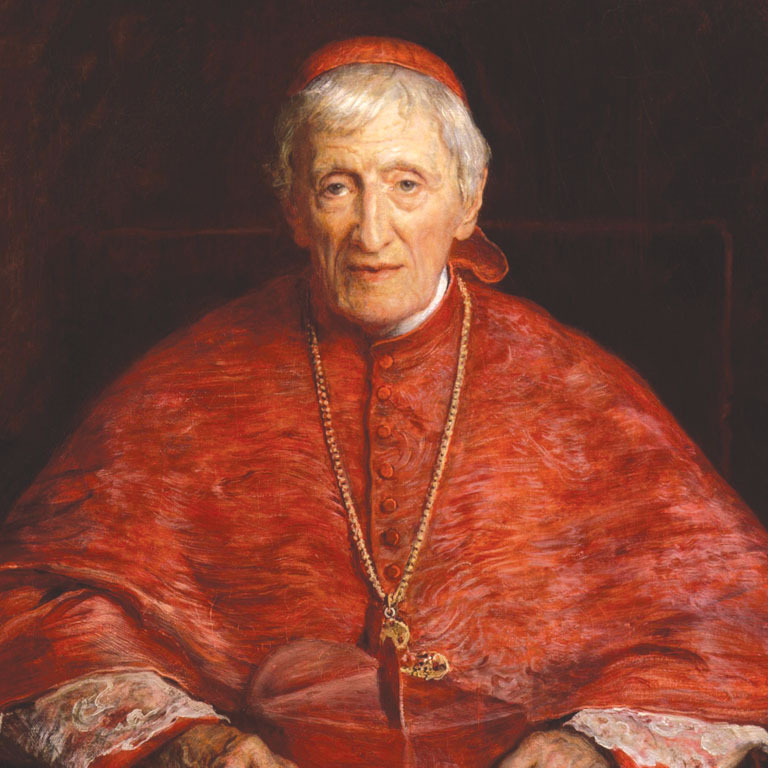 We pray that this is indeed God’s will for his devoted servant, John Henry Cardinal Newman. At the conclusion of the Milan Conference, as you return to your colleges, institutes, parishes and places of work, I would ask you to take that message of hoping and praying with you. We remember the words of the prayer for canonisation written by another Bishop of Birmingham, the late George Patrick Dwyer, when he asked for Newman “that his holiness may be recognised by all and that the Church may proclaim him a Saint.” We pray that we may soon see the answering of that prayer.